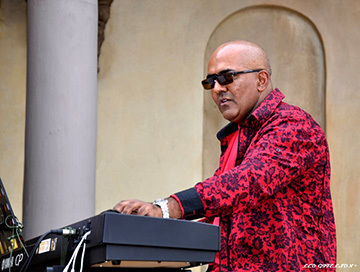 Avzal Ismael (born on 12 October 1961 in Pretoria) is a prolific South African pianist with many years of experience behind him. His musical ifluences are many, but he is particularly noted as a jazz and latin jazz pianist. Avzal has been prominent in both the South African and international music scenes and has performed accross the globe, from Lisbon to Beijing. Among the musicians that he has worked with are : Regina Carter, Donald Harrison, the late Carl Anderson, Bakhithi Khumalo, Vusi Khumalo, Efrain Toro, the late Johnny Fourie, Malaysian drummer Lewis Pragasam, and many others. In addition, he has supported such notables as Irakere, John McLaughlin and the Free Spirits, Shakatak and others as an opening act. He has numerous recording and television appearances to his credit and co-wrote the Finale for the World Summit on Sustainable Development which was held in South Africa. He has appeared at such notable events such as the Common Wealth Games, the South African Presidential inauguration banquet, the Summer Jazz days festival in Poland, the Afro Arab trade fair and many other events and functions of note. He has toured internationally in an individual capacity as well as with his supergroup Light Years. Avzal recently spent an extended period in Canada and London and has returned to South Africa where he is involved in an educational project and is starting to make inroads on the professional music scene, once again. Avzal is available for keyboard sessions for musicians and producers worldwide to play on their songs, all via the internet. 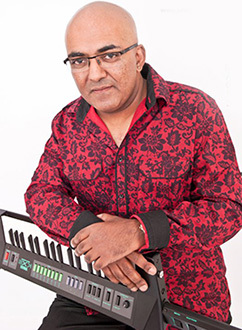 Send him the necessary files, chord charts and brief and he will do the keyboard sessions for you using the services of a state of the art professional studio to lay down the parts to your satisfaction.